When you’re traveling you just can’t say no to a quick stop to check out a potential photo opportunity. I actually stopped because a building caught my eye, but then I stumbled onto this old-timey car show. 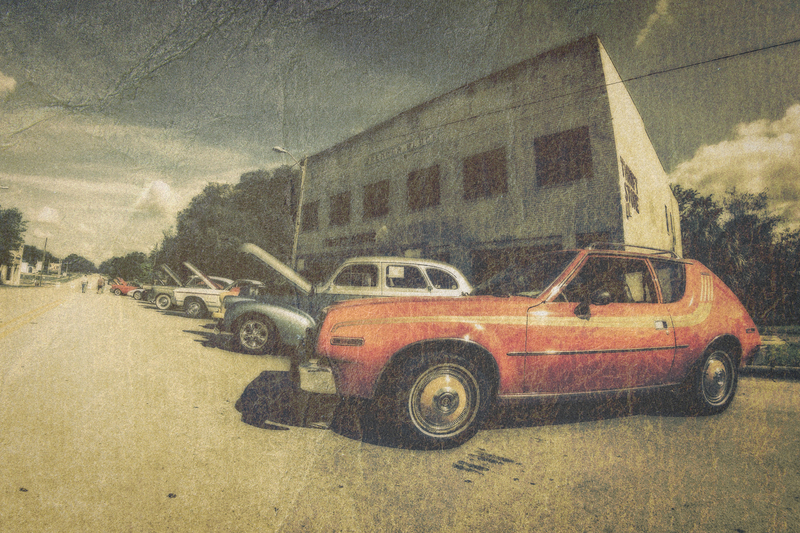 The trick was to take a tack-sharp image and “dirty” it up in an effort to match the Cruise-In theme of yesteryear. What do you think, too much? This scene just felt retro when I saw it.